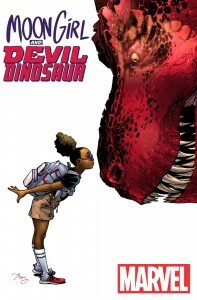 A Friendship 65 Million Years in the Making in MOON GIRL AND DEVIL DINOSAUR #1! This November, prepare for a Marvel team-up that has to be seen to be believed in MOON GIRL AND DEVIL DINOSAUR #1 – the new ongoing series from writers Amy Reeder & Brandon Montclare (Rocket Girl) and artist Natacha Bustos (Spider-Woman)! Meet Lunella Lafayette, pre-teen super genius who wants to change the world. But when she uncovers ancient Kree technology, things are about to get a whole lot stranger. Opening a doorway to the prehistoric past, her life is turned upside down when she comes face-to-face with the towering Jurassic giant known only as DEVIL DINOSUAR! But he is not alone. Out of the portal an in to the Marvel Universe are transported the Killer-Folk, an ancient tribe of beings who will stop at nothing to acquire the Kree technology! Lunella’s about to learn the hard way that it’ll take more than just big brains to save the world. Thankfully she’s got a new friend at her side. 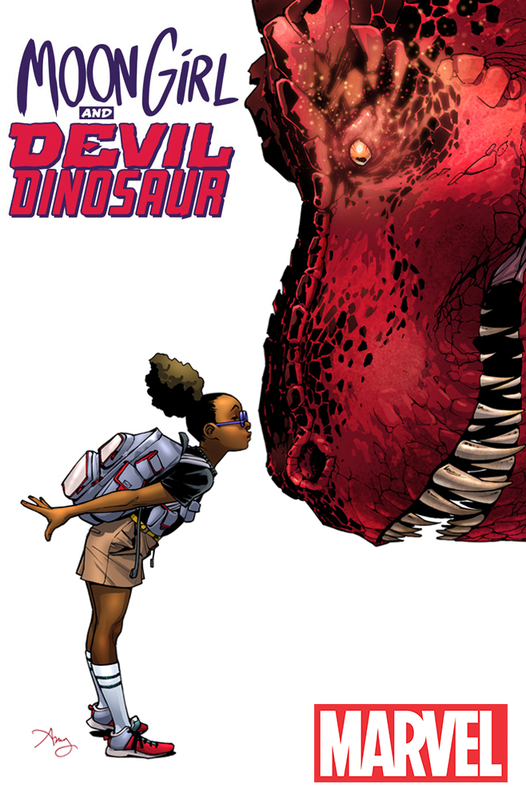 This unlikely duo are many things, but together, they are the unstoppable Moon Girl & Devil Dinosaur! Be there for their first adventure and a Marvel series unlike any you’ve seen before as Reeder, Montclare and Bustos bring you MOON GIRL AND DEVIL DINOSAUR #1!